What can you say about Tim Tirabasso? He is a great guy with a great heart, with a passion for his family, friends and basketball. On April 1, 2014, Tim was doing what he does best, officiating. The next day he went to work and suffered a seizure. On April 2, 2014, Tim and his family received the most devastating news; Tim’s seizure was caused by a brain tumor. Tim was diagnosed with an INOPERABLE Astrocytoma (level III CANCER). Tim and his family decided that they would do what they needed to do and would stand together and fight this no matter what it took. Tim went through radiation and chemo (some things worked, others did not and made him sicker). For about a year Tim was doing great, trying to get back into the swing of things and get back to his old self again. On July 8, 2015 Tim and his family were hit with another devastating blow, Tim had suffered a very severe seizure that left him paralyzed on the left side of his body. Tim was unable to move or even talk to them, after this other severe complications occurred which left Tim back in the hospital for several months, still unable to move or talk to his family and friends. Tim was sent to a rehabilitation facility in September, a place where he remains to this day. Tim is able to talk, but unfortunately still unable to walk and care for himself. He is relearning basic everyday tasks, such as eating and shaving and is trying his best to get strong enough to try and stand. Tim is currently undergoing a trial chemotherapy, which makes him weak and tired. There is no cure for what Tim is going through; there is only hope and prayer. Tim’s family is not sure what the future holds for him, but they are doing their best to give him the love and support he needs to continue this battle. It is going to be a long journey, but a journey they are willing to take with him. 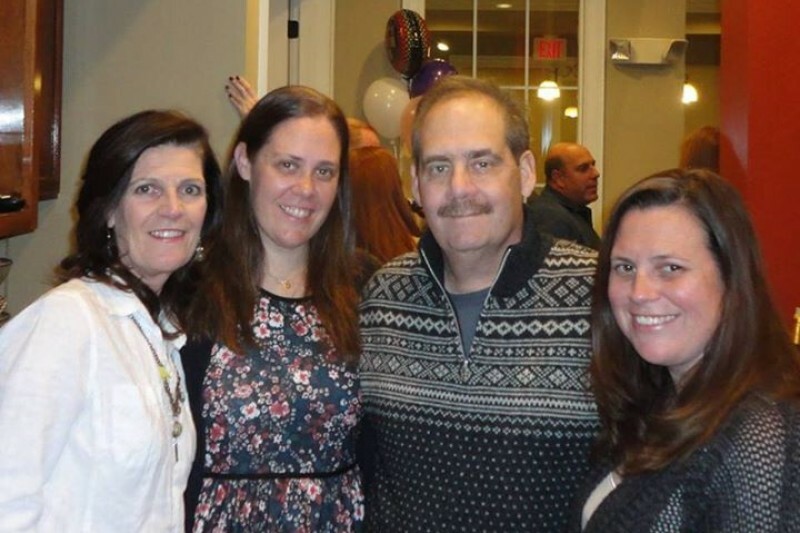 This fund site had been created to help Tim and his family with some immediate financial help. Medical bills and his care costs have become a large expense to his family. Please help support Tim Tirabasso and his family give him the proper care he needs to keep FIGHTING! The Tirabasso family cannot Thank you enough for your love and support!! We would like to thank EVERYONE for their continued support! We would like to Thank everyone for their continued support for Tim (Dad)! There are no words to describe how grateful we are for all of the love and support we continue to receive! The love and support that has been shown to our family is remarkable! The words of encouragement, support and love bring a smile to dad's face. We are all overjoyed with emotions!!!! Jimmy I don’t have the words to tell you how I feel about you. I pray to God that things turn around for you and your family. You’re in my prayers always. HELP LIZ AND HER FAMILY GIVE THE CARE TIM NEEDS. Tim - my thoughts and prayers are with you each and every day. Keep fighting the good fight Tim! May God bless you Tim!